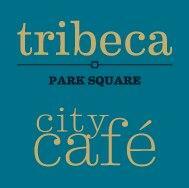 We currently have vacancies for Cafe Assistants to compliment the team at Tribeca. Candidates will be able to work effectively, be able to prioritise work loads and be forward thinking so that stock is motioned and ordered on a daily basis,. As well as being enthusiastic, friendly, an exceptional communicator and with a good sense of humour, you will be able to demonstrate a willingness to develop your skills - your attention to detail will be a given as will your cleaning skills!! Successful candidates will be able to work shift patterns of 7.30am-3.30am over Mon-Fri with a minimum of 2 days per week. They MUST be able to work during most of the Uni holidays (apart from Christmas hols when we are closed). THESE ARE NOT TERM TIME ONLY POSITIONS.